It’s a whole new year, and already the science fiction and fantasy publishers are hitting the ground running. There are tons of great new books in January, including China Miéville, Amber Benson, and Tim Powers! 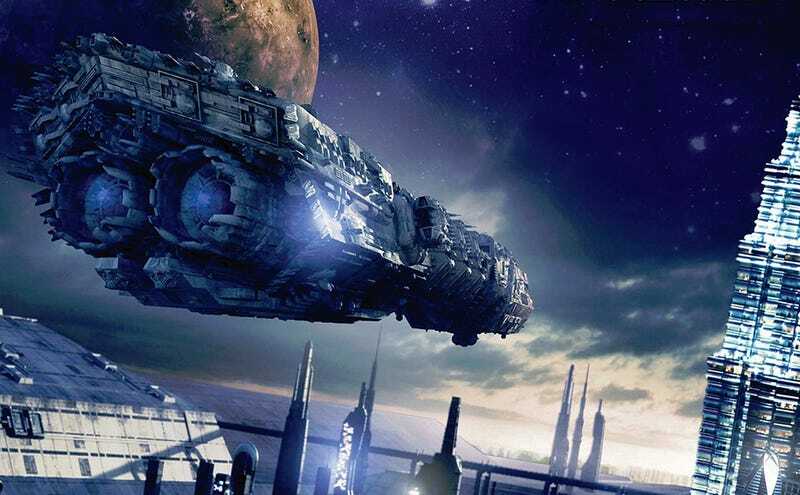 These are all the science fiction and fantasy books that should be on your radar this month. This is billed as Friday Night Lights meets The Time Traveler’s Wife, and it’s about a girl who sees weird things. At first, it’s just subtle differences, like a door is the wrong color. But then one day, her whole town disappears for a little while. Then the mysterious ghost she calls Grandmother tells her she has three months “to save him”—and then she meets someone named Beau. You can read an excerpt here. When aliens want to move among us on Earth, they often cause a lot of trouble—so they’ve created their own race of fake humans, known as Servs, to clean up after them. Lucy was left on Earth as a baby and raised by human parents, and she doesn’t realize she’s actually an alien plant until she reaches adulthood. And then she gets implicated in the death of a Serv child, and everything goes sideways. Kirkus calls it “high-caliber, often engrossing literary sci-fi,” but warns it’s a bit slow at first. Publishers Weekly calls this book “astonishingly good” in its starred review. A retired general goes looking for a spy that’s gone missing in a country that used to be ruled by the goddess of war and death. Once there, she reunites with an old comrade in arms, along with the daughter of a great assassin. A former Colombian politician writes a novel of magical realism, against the backdrop of Argentina’s “dirty war.” Julia has grown up with the ability to see the future through the eyes of others, although it comes with a certain amount of synesthesia. Unfortunately, she and her lover Theo fall afoul of the authorities because of their politics and get sent away for a long stretch, in a sequence that draws on Betancourt’s own imprisonment at the hands of guerillas. Kirkus gives it a mixed review. Kenna has the power to eat your life-force just by touching you—as one obnoxious neighborhood boy discovers, when he kills some kittens. After Kenna realizes what she’s capable of, she has to learn to control her powers and understand what she is, so she gets shipped off to stay with some relatives in the middle of nowhere. Publishers Weekly praises the magical lore and the explorations of Kenna’s weird past, but finds the ending too neat and easy. Miéville’s first novel in ages and ages is a short, simple attempt at a Kafka-esque fable. A man who’s being kept prisoner someplace where they call him their “guest” reflects on the terrible events of his childhood, and the whole thing turns on the fallibility and strangeness of memory. NPR calls it “a small, quiet and gentle book with murder at its center,” but also says its ambiguity may drive you a little crazy. The author of The Invention of Everything Else is back with a novel that Gregory Maguire raves about in the New York Times. This novel follows two girls going on journeys—Ruth is a young girl who was left at a foster home by her older sister and apparently abandoned, and then a grown-up Ruth is escorting her sister’s daughter Cora to safety. And the young Ruth takes part in seances to contact her dead mother, and ends up contacting an entity named Mr. Splitfoot instead. This stand-alone novel takes place in Cobley’s ongoing space opera universe, but apparently requires no prior knowledge. The Gun-Lords of Shuskar live in a huge “exotic mega-structure” known as the Warcage, where the populations of the planets they’ve stolen are forced to do battle. A smuggler captain is forced to lead a rebellion against the Gun-Lords, helped by an alien military leader and a human officer who thought he was out.